If you are a green vegetable supplier to Walmart, this likely isn’t news. 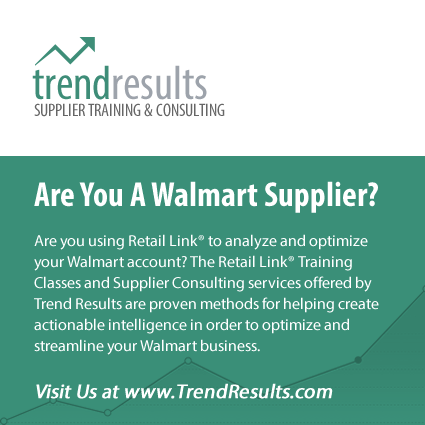 If you are a supplier to another Walmart category, pay close attention. Walmart has announced a requirement that suppliers of green vegetables to its Walmart stores have until September 2019 to adopt blockchain technology for the purposes of asset tracking. The new program is known as the Walmart Food Traceability Initiative. Asset tracking essentially means “where is my stuff”. As important as that metric is, it is especially important for suppliers of products that might need very swift action in the event of health risks such as the recent E.Coli outbreak in Romaine lettuce inventory. In such events, it is imperative that suppliers and retailers be able to pinpoint where that inventory is in the pipeline in seconds — not days or weeks. While blockchain might very well be a perfect solution for this requirement, the nascent technology has never been presented with the potential scope of this mandate. Blockchain, though increasingly being recognized in the common parlance, is still a very vague concept to most of the public. To most, blockchain means Bitcoin, and given the extremely volatile nature of Bitcoin in the last year, it goes without saying that this mandate might come with some push back from Walmart suppliers. Though blockchain might ultimately be the perfect solution for inventory traceability, the adoption rate of any blockchain technology is incredibly low. Many organizations are still in the discovery phase when it comes to blockchain, and upending existing technologies for a yet-to-be-proven technology is an argument that has yet to play out. However, Walmart isn’t arguing the merits of the technology. Instead, they are mandating that certain suppliers adopt the technology. The response from Walmart suppliers remains to be seen. For green vegetable suppliers, this is obviously an immediate concern. For the rest of the Walmart supplier community, it should be noted that this mandate might be “coming soon to an inbox near you”. What are your thoughts about Walmart forcing suppliers to adopt the blockchain standards? Sound off in the comments section!